Joseph George was born in Plaistow, East London on 29/04/73. My full name is Joseph Jaiyeola Babajide George. My parents took me to Nigeria when I was two. I was brought up by my grandmum after my parents’ divorce when I was five. My grandmum used to take us to church occasionally for Christmas, Easter, Christenings and Special events. So I grew up believing in God. A film entitled ‘King of Kings’ also made a remarkable impact on me as a child. Reading a compilation about the accomplishments of British missionaries in Africa also made a huge impression on me as a child. When I was eleven, some cousins came to Nigeria from Northampton, England and told us about the need to be Born-again and told us it wasn’t enough believing Jesus but we had to invite Him to be personal Lord and Saviour. I asked Jesus into my heart and got filled with the Holy-Ghost. This was however just before I went to school. So on getting to school, I backslid because I wanted to be one of the guys and being a Christian wasn’t looked upon as being cool. In my teens, I went on and off to a Church called Scripture Pasture Christian Centre – an Independent Charismatic church. On the 24th of January 1989, I went to church casually one sunday. One of the Elders was preaching. He preached about the cross and what Jesus had suffered for me. This message challenged me profoundly but I did not respond to the altar call. I was challenged about the double life I was living. If Christ was willing to give His all why was I holding back and not wanting to give my all. A few weeks later, another friend challenged me in school using Rev.3v15 to confront me about not being hot or cold but being Lukewarm. So I made the choice to live all out for Christ, joined the Christian Union and became an active member of Scripture Pasture Christian Centre. After my Baptism in water, my christian Life took off. I later went on to be one of the Helpers in Church. I flew to the United Kingdom in 1992 and became a member of a church called Universal Pentecostal Church. I later became a Sunday School teacher in the church. I went to Bangor University to study Banking, Insurance and Finance. I was an active member of the Christian Union and I went on to be Treasurer between 1997-1998. After University, I started working for the Assemblies of God church in Bangor as a Student Worker between 1998-2008. It was my spell at Bangor A.O.G that sharpened me in Missions, Evangelism, Preaching, Teaching, Using gifts of the Spirit and taking part in outreach in general. 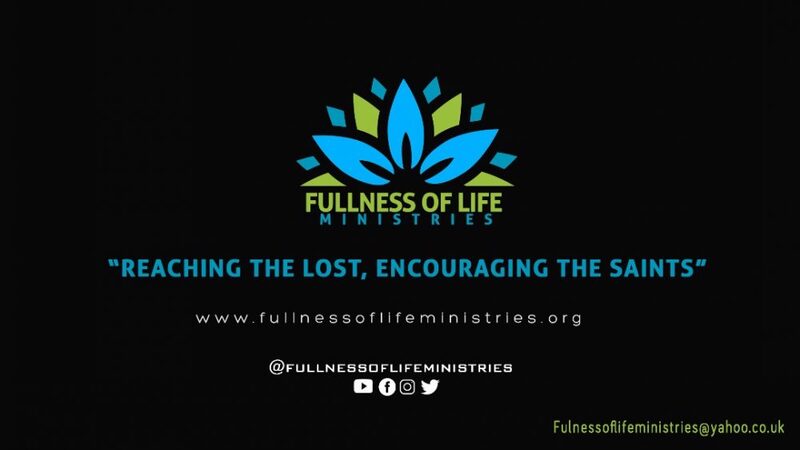 Fullness of Life Ministries was launched on the 18th of June 2009. Joseph is happily married to Sian and they have a gorgeous daughter named Alaw and a son called Caleb.